Accidentally, this week at Lucky 13 headquarters has turned into “Great Looking Travel Bloggers Week.” First, Amar on Tuesday, then Kirsten today. As you read this, Kirsten and her very good friend, Andi Perullo, are down in Mexico, sipping drinks with umbrellas and celebrating her birthday. Yea, I hate her too. Before I get in more trouble that I am already in, I better move on to Kirsten’s work, which is somehow even more beautiful than her. While she used to make her living as a wedding photographer, her photography talents are far from limited to that area. Go check out her various photo essays on Kirsten Alana’s Travels and you are sure to be impressed. And her writing doesn’t lag far behind her amazing skills with a camera. 1 – seeing as you are an amazing wedding photographer, what wedding would you most have wanted to have been able to attend? Grace Kelly! She was such a beautiful bride she’d be easy to photograph and she lived that dream so many American girls have, of marrying a prince – I think that would be fascinating to capture. Then again, a train wreck celebrity wedding would be hilarious too! Remember Kid Rock & Pam Anderson? 2 – what musical artist would you most like to see live? I can’t pick just one, that’s like picking a favorite child. Here are the ones tops on my list currently: Rihanna, Jonsi, Springsteen, Mumford & Sons, ADELE, Good Old War, The Killers, Kaskade, Brett Dennen, Foo Fighters, Belle & Sebastian, Amy Seeley. I’m sure tomorrow I will have 5 more to add to the list! 3 – worst pick-up line you have been subjected to? “Why don’t we just skip to you giving me your phone number? You know you want to anyway.” The guy didn’t get my phone number. 4 – what person on Twitter most often makes you smile? had to go Firefly pic! 5 – who is your biggest celebrity crush? 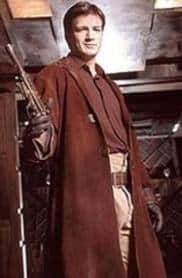 Depending on the day, Nathan Fillion (that dates back to when he was “Captain Tight Pants”) or Gerard Butler. 6 – largest dinner tab you have ever been a part of? The first solo dinner I had in New York. I’d skipped lunch, gotten lost in Brooklyn and walked the bridge. I was famished. I made it as far as Union Square before I had to collapse and found myself at Steak Frites. I ordered the largest steak they had and when I saw they had my favorite Belgian beer (Lindemans Lambic) I told the waitress to make sure I never ran out. I must have had four or five, I also had dessert. The bill was easily over three figures. For just one person, that’s the largest tab I’ve ever paid. However, it’s still one of my favorite NYC memories! 7 – where do you want to retire to? A cottage somewhere on the water. 8 – language you’d like to be fluent in? Definitely French and Spanish! But also German, because I took it for two years in high school and yet don’t really speak it. I know a lot of the words still, but I can’t engage in a full conversation. It would be nice to resurrect it and feel like those years weren’t a waste! 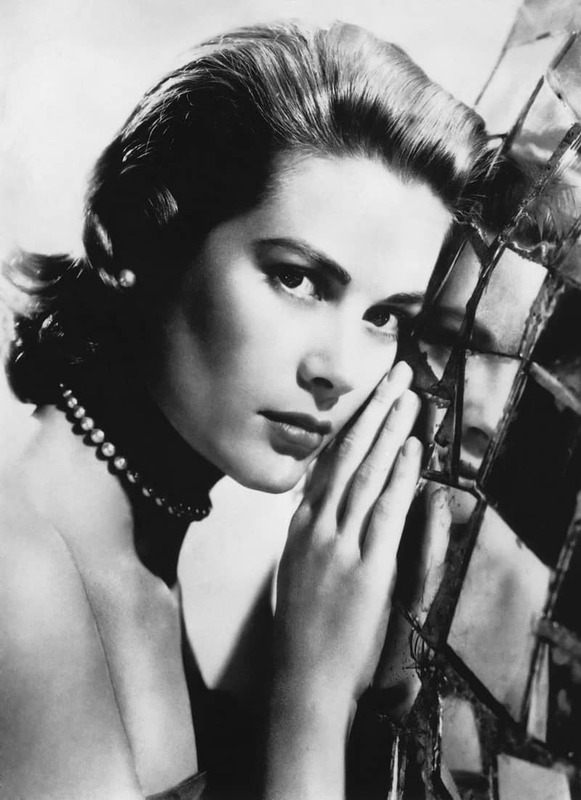 9 – Fill in the blank: I have no idea how _______ got to be so rich and famous, since they have no talent whatsoever. 10 – if you could only drink one alcoholic drink for the rest of your life, what would it be? I’m not a person who can pick just one thing, clearly … probably Woodchuck Pear Cider or Lindemans Peche Lambic! 11 – most embarrasing thing on your iPod? ABBA, every song they’ve recorded in fact (check out another Q.11 answer here). Not in the sense that I am embarrassed to own them, but I’ve been made fun of for listening to them so many times. My Swedish heritage sort of set me up to have no choice, I’ve been singing along to “Dancing Queen” my whole life. There was a joke once, that I started dancing to that song – before I started walking. 12 – what’s the title of your future biography? Divorced eh? Just couldn’t make that one work? I laughed so hard at Kirsten’s final answer – thank you for this interview! Haha! Yes, I laugh these days too. I wasn’t laughing when I went through my divorce but these days, what else can one do. Hopefully one day I will get the chance to try again and NOT get divorced. Thanks for the comment dear Roxanne. 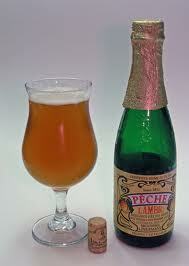 Lindemans Peche Lambic… Go Belgium! Go Belgium indeed!! Love that you’re a fellow appreciator of good beer. Thanks for the comment Nicolas. Thanks for the comment Kristin! Si, the world is not as large as it sometimes seems. And even smaller in the twitter travel world. Lindeman’s lambic is my favorite too! I’m not too big on most other beers but I could lambics forevuh! So stoked to be able to actually experience them in their native habitat on my upcoming trip to Belgium! Nice to meet you, Kirsten. Michael – another great lucky 13! Umm….that was “…I could *drink* lambics forevuh…” and I need to tone it down on the exclamation marks…LOL!. Oops. Sorry. LOL. Another Lindeman’s lover. This is a good group!!! Love it. Thanks for the comment Marsha!! The NVR Guys will second the crush on Captain Hammer. I read this and this was all I needed to know. I stopped reading after this point was raised. You are too funny Amar!!!! So was it worth the wait? I sort of love that we were featured in the same week. Great choice for an interview subject! I believe Woodchuck was the first beer I ever got drunk on. Lindeman’s was also like my first ever taste of Belgian Beer and I couldn’t believe when I finally got there that is was so much better there! Thanks for the comment Scott!! Belgian beer really is fabulous eh? Glad you like it too. Woodchuck is amazing too, as a VTer born and raised I am pretty partial to that too. I love the memory in NYC; who says you need company to enjoy a nice steak dinner? Exactly!! So true Christine. Thanks for commenting! The more of these I read, the more I love the whole concept. Even though the answer to number four should be my favorite, I think I’m going with number seven. Not surprised you like #7 best. *cough* … Culver Lake 🙂 On the property I grew up on in Vermont we owned a lake that had a little cottage on it and that started my love of cottage living. Sounds like a great meal even if it was so damn expensive. Always enjoy learning more about you, Kirsten! Oh it was a great meal. So great! Gracias for the comment Ali, I love getting to know you too … especially your European love story!!!! Thank you so much for interviewing me Michael! Love the photographs to accompany the post and thank you for the intro. You’re too kind. your intro came quite easily, since it is easy to be complementary to someone so talented. Glad you liked the photos. Okay, you know I love you si? Buuuuuuuuuuuut I thought the answer to #4 should be @andiperullo. Hello?!? That’s the cutest comment I’ve ever seen, a mute gringa LOL! Christy you like Firefly too?? It’s THE BEST!! There was no one more upset than me when it was canceled and while making Serenity appeased me a little I still wish every day the show had gone on longer. Thank you so much for the comment!!!!! Ahhhh, one of my favorites. Sad it only made one season. Mike Sowden got me into Stargate Universe also… one season. Caprica…. one season. Damn it. Can’t get into Stargate Universe. But definitely love both Firefly and Arrested Development (woot Christy!). And si, it is always the best shows that get canceled early. Great interview with a great gal! Had the pleasure of meeting Kirsten on my recent road trip up & down the east coast of the US. I’m so glad that I changed my plans and took the slight detour, so that we could have lunch together with Andi Perullo. Wouldn’t ya know it, Kirsten is even nicer, smarter, prettier and funnier in person. Lucky me! Ken, thank you for the sweet comment, you’ve melted my cold dead heart……. 🙂 It was SO awesome to meet you and I am grateful you did change your plans to stop through Charlotte. I’m forever grateful to know you a little better than just reading your blog. Hope we get to work together on a photo project, wouldn’t that be cool? You share my two favourite beers! Haha, great interview!! Last answer made me laugh!